OAKHURST – The public is invited to join the communities of Madera County: California’s Gateway to Yosemite at the inaugural Yosemite Festival. The festival will honor the 150th Anniversary signing of the Yosemite Grant Act by President Abraham Lincoln on June 30, 1864. The grant protected Yosemite Valley and Mariposa Grove of Big Trees, creating the foundation for the National Park System. Half Dome Art Pavilion celebrates the beauty and history of the Art of Yosemite. Yosemite Falls History Center will take you back in time with the evolution of Yosemite & Vintage Clothing Exhibit. El Capitan Adventure Land celebrates the wildlife, nature, games & experiences of Yosemite. Yosemite Valley Center Stage, sponsored by Sierra Tel, will feature entertainment throughout the day. Music, dancers, John Muir, Abraham Lincoln, melodrama, and more. Mariposa Grove Food & Beverage Garden – The Oakhurst Sierra Rotary & Sunrise Rotary will be serving delicious barbecued tri tip and chicken sandwiches, hot dogs, chips, baked beans, and coleslaw. Assorted sodas, water, and beer, including South Gate Brewing Company’s 1864 Ale, will be available as well. Along the Merced River Vendor Trail, attendees can shop for tasty local treats,kettle Corn, shaved ice, homemade jewelry, solar, woodwork, commemorative anniversary posters & t-shirts, art and more. 12 p.m. starts off the grand entrance of Abraham Lincoln and John Muir in an old wagon train, entering the festival in grand style to patriotic songs being sung in the background, the American flag being hoisted on stage by none other than the boy scouts. Attendees will listen to Abraham Lincoln and John Muir as they tell you why 1864 was such a momentous year. 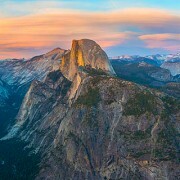 How they made possible the enjoyment of such breathtaking beauty and nature that is Yosemite National Park. The festival hours are 10 a.m. to 7 p.m. Admission is only $1 and the first 500 people will receive a commemorative button. VIP tickets are available which include admission for 1 BBQ meal (sandwich, soda/water & side), commemorative button and poster for $10. The Oakhurst Community Park is located at 49074 Civic Circle Drive in Oakhurst. For advanced VIP tickets, vendor inquiries, or more information, call Rhonda Salisbury at 559-683-4636 – Rhonda@YosemiteThisYear.com or Bob Macaulay at 559-683-4494 – macaulayinsurance@gmail.com. Updated event calendar information can also be found at www.YosemiteFestival.com.